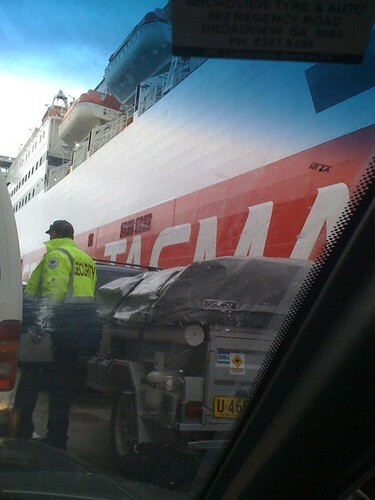 Last few weeks I have been trudging (well driving) across Australia from Adelaide to Hobart. Before leaving Adelaide we had a small farewell. Even though my Facebook estimate was 12, I invited other people on the side and the total headcount came to 28. The next few days were spent on the road and on the ferry, Adelaide-Melboune(and environs)-Devonport (and environs)-Hobart. We went to several national parks near Devonport. Narawntapu along the coast where we saw crabs swarming along the beach. 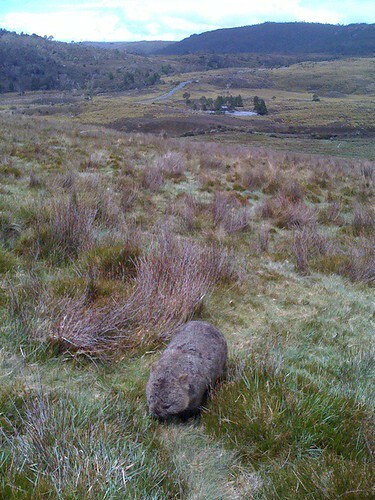 Then we had a close-up with a wombat at the Cradle Mountain National park. Finally we got to Hobart and had a "Bah Humbug Christmas"(according to the organizers) at the waterworks park. 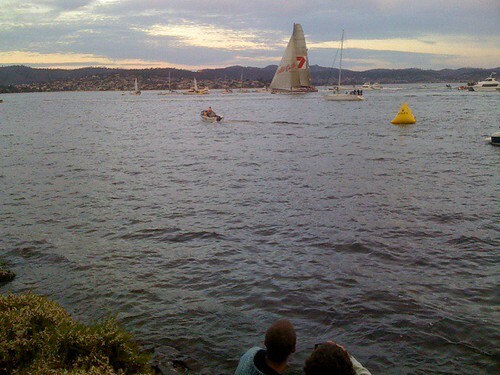 In a few days we watched "Wild Oats" sail into Hobart marking beginning of the end of the Sydney to Hobart race. More exciting summer things to do in Hobart coming up. People have hooked up the Kinect to a few embedded platforms - Intel Atom and Gumstix Overo have come up. It was time for the other darling of open development, the BeagleBoard to talk to the Kinect. I have done stereo on the beagleboard before. The kinect makes things a lot easier. First the usual step of getting libfreenect going, I ended up using unstable since it includes the OpenCV bindings. The sync API is much more stable than the callbacks and has fewer frame drops. Since I don't have a spare keyboard/mouse set for the Beagle and Synergy refused to co-operate, I did a demo frame viewer run with OpenCV rendering the frames. I had to upgrade opencv, ffmpeg, libusb, cmake and bunch of things on Angstrom, then replace CMake opencv detection with pkg-config to get everything working. Meanwhile there have been some major changes in the OpenKinect world with PrimeSense releasing the OpenNI framework. 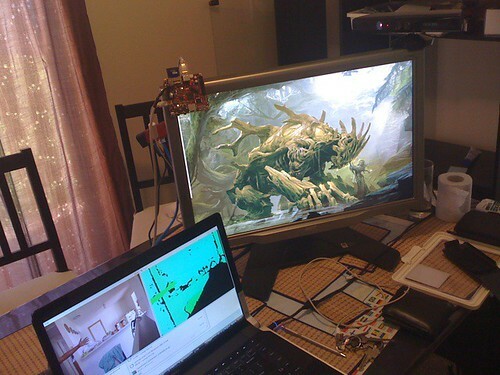 This releases the Microsoft stigma from the Kinect and encourages more open source development of applications. You can grab the OpenNI code from Github and build on your platform a from the manufacturer kinect driver. No stigma about a hacked Kinect (or shall we say PrimeSensor) any more either, it is officially open. 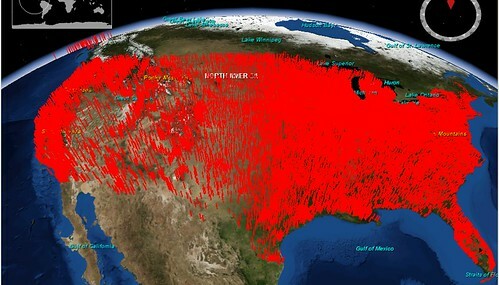 NASA WorldWind Java has recently added extensive KML support. They use neither SAX nor DOM, but a very creative solution with an XML pull parser. The events of interest i.e. implemented KML features only are responded to and corresponding objects created. So the pull based methodology is more flexible - faster than SAX and less memory hungry than DOM. One of the planned things is models, and given the interest in KML shown at the CSIRO Cop meeting I decided to have a shot at extending the worldwind KML support. 3D models have been around on the forums in a mega thread for a while now, but never truly integrated into the worldwind core. With KML model support proposed this might finally be on the way. I got my feet wet in Collada parsing by creating annotated Java classes from the Schema using JAXB. I have to admit I made some primitive attempts with DOM + XPATH parsing and quickly gave it up in favour of pure JAXB magic. 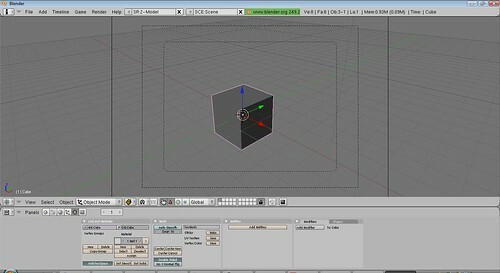 Parsing a simplistic Blender cube took some effort, I have the vertices, faces and normals done. Just need to set up some materials to get it to render. On the 2nd day the concept of divisions in CSIRO has sunk in and I realize that this is the CSIRO Marine and Atmospheric Research Software Engineering community, I am over the me and them mentality as well and I am using the "We" pronoun more often. The talks today started off with a review of XML and why it is not the solve all. The second talk explored the REST idiom for web services. There were a couple of talks about IMOS and TERN indexing disparate NetCDF and HDF data and allowing exploration + download of it via a portal. The inevitable scalability question came up and was left as the elephant in the room. A very detailed talk about Oracle databases and optimizations was an eye opener for me - somebody used to the relatively "just should work" world and PostgreSQL. The last talk felt like a major reimplementation of Google Docs in a semantic space, to easily digest arbitrary data from spreadsheets - the goal is lofty but the proof is in the pudding. 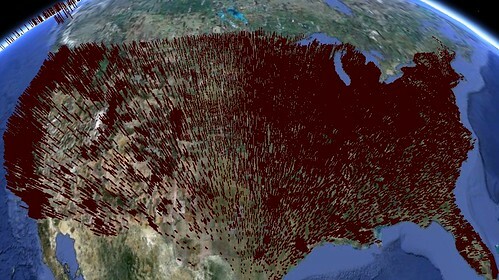 We tried to muster up some support for a visualization platform around NASA WorldWind for community wide acceptance and there was interest from a couple of people. After dinner the talk around visualisation reduced to (or built up to depending on how you look at it) rendering uncertainity both in observations and model output data. Making graphs with regression for my thesis, this has been a common request from my supervisor, I respond to it with error bars and regression confidence interval curves. How does this propagate to a resonable metaphor in worldwind without making every icon hairy with error-bars ? 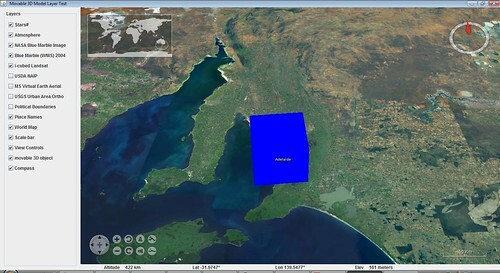 The kml support in WorldWind seems to have also encouraged people to test what can be best described as Google Earth compatibility, leading to these hairy images.